Alan Lomax playing guitar on stage at the Mountain Music Festival in Asheville. 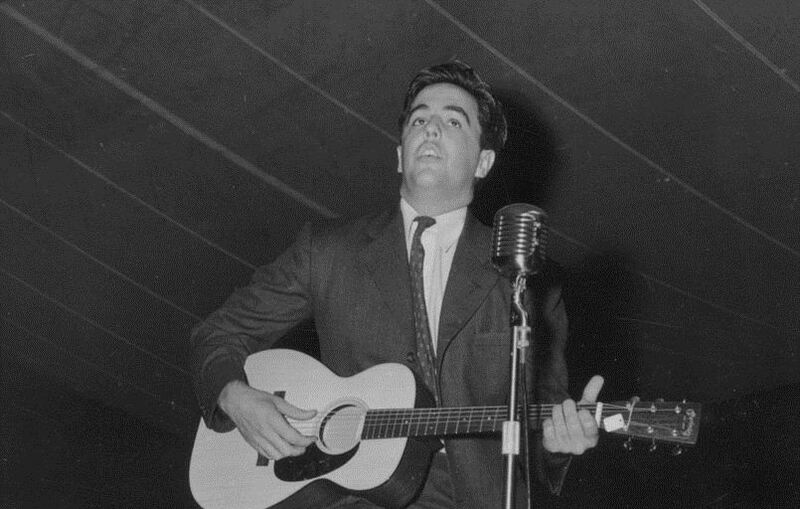 AMAZING story in this morning’s Arts section of The New York Times about folklorist Alan Lomax. Lomax, who was the first to record Woody Guthrie and Muddy Waters, dedicated his life to increasing the awareness of traditional music by doing radio and television programs, organizing concerts and festivals, and writing books, articles and essays. Next month, his massive collection of 5,000 hours of sound recordings, 400,000 feet of film and 3,000 videotapes and 5,000 photographs will be digitized and launched online by the American Folklife Center. This is enormous and what this blog is all about. Alan Lomax is my hero. I CANNOT wait for this. As the times notes, this collection is a goldmine. Read the story and listen/watch to a few samples here.